Can you feel it? Love is in the air! I love Valentine’s Day and seeing how it brings out the best in friends and family. However, I don’t typically celebrate it with my husband. Instead every year my daughter and I celebrate together. We take advantage of the day to celebrate each other and our bond. Instead of Valentine’s Day, we have Galentine’s Day. 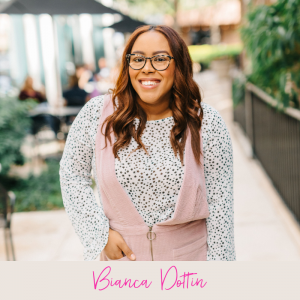 This year we decided to do something super fun and host a mommy and me Galentine’s Day party with our closest family and friends. 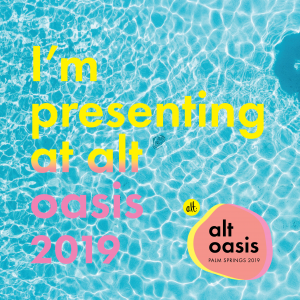 Our party would be filled with fun activities, yummy brunch, lots of laughter and of course a sweet treat to end the day. 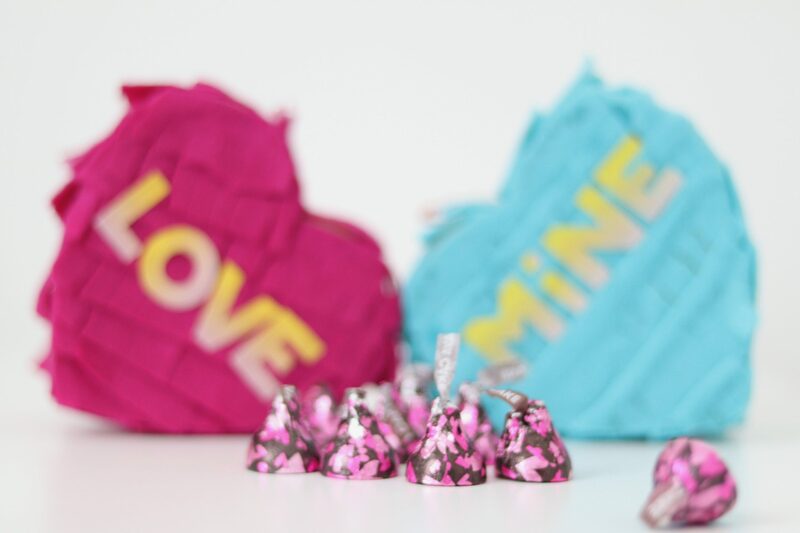 No Galentine’s Day party could be complete without NEW HERSHEY® Lava Cake KISSES chocolates from Walmart. Made with real HERSHEY® rich, creamy chocolate, HERSHEY® Lava Cake KISSES chocolates was just the symbol of affection we needed to show our guests how much we care for them. 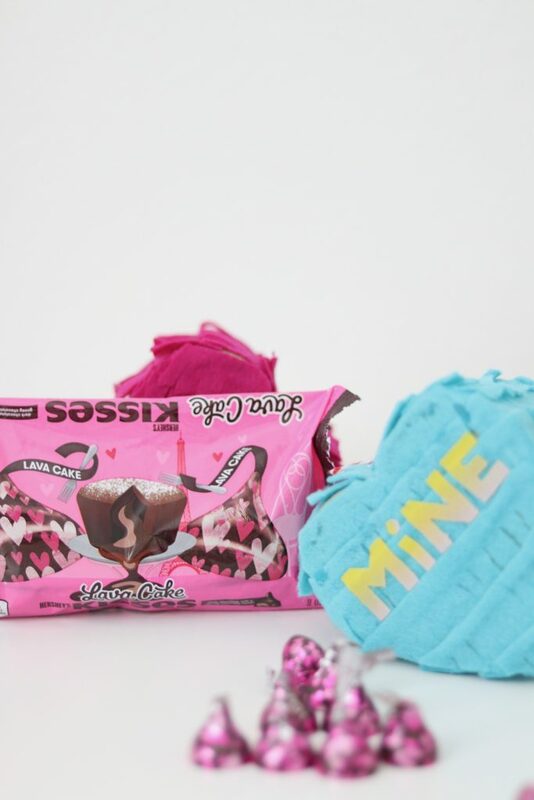 Rather than gifting our guests with the NEW HERSHEY® KISSES chocolates in an old fashioned gift bag, we came up with a mini conversation heart piñata DIY. 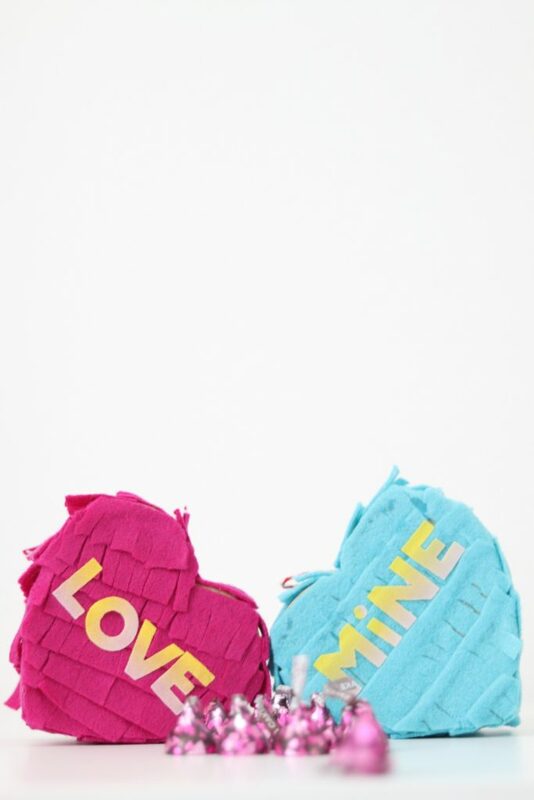 The heart piñatas would double as a table setting and super fun party favor. 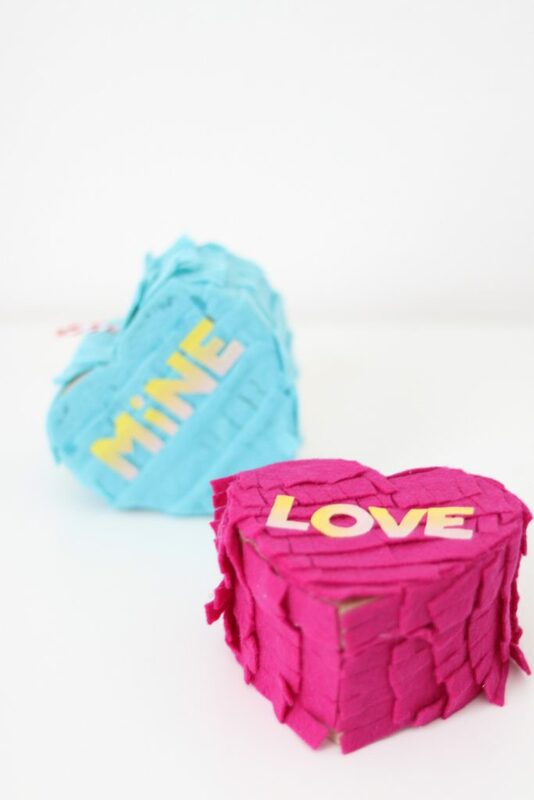 Creating the conversation heart piñatas is super simple. All you need is a few supplies from Walmart and of course, the delicious NEW HERSHEY® Lava Cake KISSES chocolates for the piñata filling. Walmart is my one-stop shop for everything I need this Valentine’s Day! Cut the felt into twelve 1 inch wide strips. Cut small notches into each strip about ¾ of the way to the top. 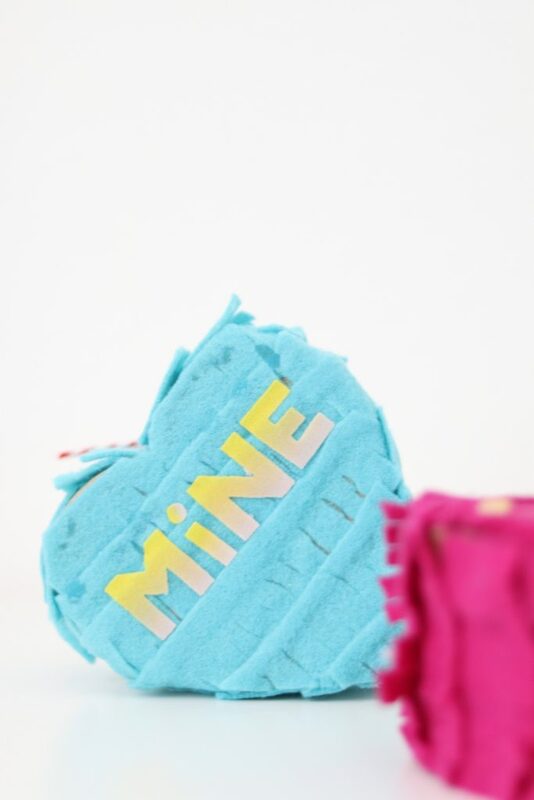 Starting from the bottom of the front side of the heart, use your glue gun to glue each strip of felt to the heart. Trim the excess felt, as needed. Once the front side is complete, begin on the sides. Repeat steps 3-4 until each side is complete. Cut a hole into the top of the heart. Tie a knot into the twine so that the piñata can be hung. 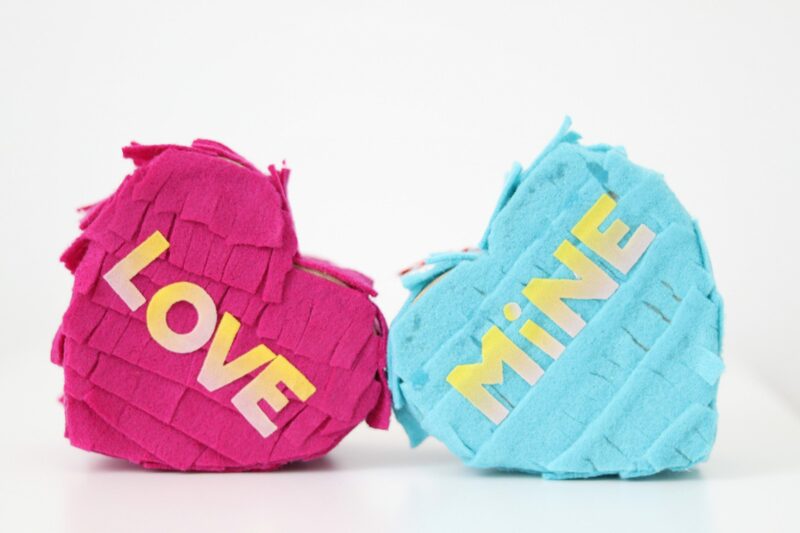 Once your conversation heart piñata is complete, it’s time to set the table for your party using the piñatas as an accent for each table setting or you can simply hang the piñatas as a decoration that your guests can grab on their way out as a party favor. 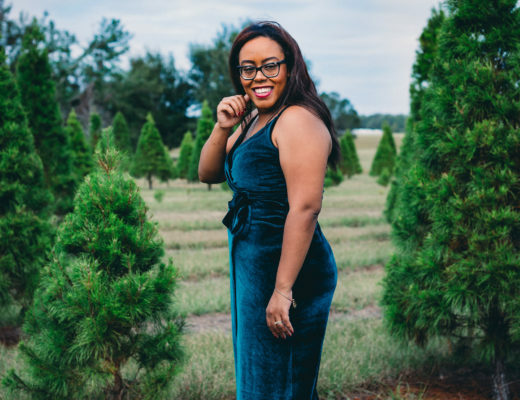 There are so many ways you can use the piñatas to add a little flair to your Galentine’s Day party. OMG! Great minds think alike?